The United Service Organizations, commonly referred to as the USO, has been bringing entertainment to the American Armed Forces since 1941. In wartime and during peace the USO has been there to help bring a little bit of ‘home’ to soldiers, sailors, airmen, Marines, and Coast Guardsmen, serving in all corners of the planet. Back during the Vietnam War, Bob Hope was famous for entertaining the troops in Vietnam for many years running. Bringing along with him many well-known Hollywood celebrities and entertainers, and televising his USO tour for families at home, hoping to catch a glimpse of their loved ones serving in that war. Back in late 2006 while I was working at Camp Victory, the large U.S. military base in Iraq near the Baghdad International Airport, I enjoyed being able to attend a few USO events. Country music super star Toby Keith paid a visit, as did television personality Bill O’Reilly, and a number of the Dallas Cowboys cheerleaders. On one occasion there was a USO event which included then comedian Al Franken. At that particular time the Iraq War wasn’t going really well for the coalition fighting against the insurgency that had developed. As well as fighting Al Qaeda in Iraq, and even elements aligned with the Islamic Republic of Iran. Casualties were mounting and there was growing concern about things possibly spiraling out of control. Any diversion from the daily struggle to gain control of the situation was welcomed by the soldiers doing the heavy lifting fighting our enemies. Certainly some light-hearted entertainment from some well-known celebrities could provide that diversion and help distract the war fighters from the daily grind. 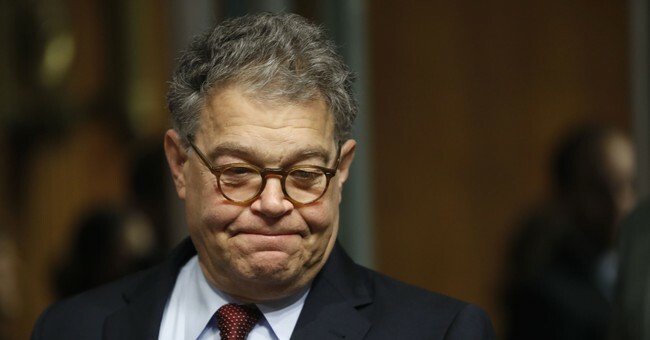 I was acquainted with Franken having seen him appear occasionally as part of a comedy team called Franken and Davis on the old “Saturday Night Live” television program, though I wasn’t a huge fan of the comedy duo. I never really found the skits in which he performed to be particularly funny or entertaining. Mostly what I remember is that they were all pretty sophomoric and juvenile, using some outlandish visual effects, like Al Franken rolling around wearing a disposable diaper, in order to try to generate a laugh from the audience. I simply didn’t find them to be very humorous. As I mentioned, Franken had accompanied the USO trip to Camp Victory in 2006, and for donating his time to try to entertain the troops he certainly deserves credit. As do all those who donate of their time to entertain the troops. Even if in Franken’s case his attempt at entertaining pretty much fell flat. I recall watching as Franken came out onto the stage set up not far from the Al Faw Palace where the military headquarters was located to perform a skit. He was dressed as Saddam Hussein, wearing a little beret and a fake mustache. The little skit he performed is memorable only in that just about every other word he spoke was an ‘F-Bomb’. Delivered before the mixed audience with little regard for whether or not anyone might find the language offensive. Including a fair number of women who were present watching. Admittedly, considering the old saying about “cursing like a drunken sailor,” most people serving in the military have been exposed to ‘salty language’. But that doesn’t make it always appropriate. Considering that the military is very sensitive to the issue of sexual harassment in the ranks, an issue the services have been trying to address for some time now, much of what Franken was joking about would likely result in a court martial if any member of the Armed Forces did the same in mixed company. I watched about as much of Franken’s little skit as I could stomach and then eventually left the area. It simply wasn’t funny nor entertaining. To me he was insulting the military audience he was trying to entertain. Apparently believing that they could only be entertained by the lowest form of comedy. In Franken’s mind it appears that he thought that all that it took to get soldiers to laugh was a few dirty words and sexual innuendos. Franken obviously was mistaken since by judging the response of the audience most of his ‘performance’ fell on deaf ears. Not much different than his entire career in the United States Senate.